If you search for the most efficient and reliable removals company in Bowes Park, N22 you are reading the right page. Moving Service’s removals services are perfect for absolutely any individual mover in London and we offer help with any kind of removal activity whatsoever. Our removals team work long and flexible hours for a range of customers and we are available early in the mornings, late in the evenings, on weekends and even on public holidays. The wide availability of our removals services is almost as impressive as the very reasonable removal fees we charge our customers, which are not only extremely competitive but entirely transparent with no hidden costs. If you call us on 020 8746 4402 we can give you a quote free of charge. Our company delivers removals in N22 for companies as well as for individuals, and we have the expertise, the moving trucks and the staff to cope with large scale business relocations in Bowes Park as well as house removals and smaller tenant moving. We can offer man and a van moving for tenants and students who are seeking to move alone and perhaps don’t have a great deal of furniture to transport. If you need us in a hurry we can sometimes send a man with a van at short notice to help you with your move. 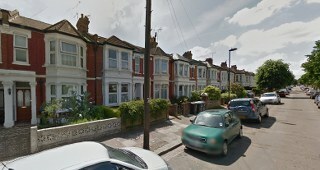 It is a suburb of North London situated in between the boroughs of Haringey and Enfield. A quiet area of London, it still has plenty to offer. The local shops are situated on Myddleton Roadand it is a conservation area which is perhaps why the area has been used in TV programmes such as Spaced and The Infidel. The area is well served by public transport with buses running in and out of Central London to the region and the London Underground stopping at nearby Bounds Green station. The Bowes Park railway station links to bigger stations in London and beyond. North London generally has much to offer in terms of attractions. It is the home of football stadiums such as Wembley, the Emirates and White Hart Lane, beautiful open spaces such as Hampstead Heath and trendy night spots such as Camden Town and Tottenham Court Road. The area, though a quieter suburb, is within reach of those attractions and Central London. Need Help with Bowes Park Moving? We're Here to Help! If you are looking for help in moving a house in Bowes Park, N22 our removals company can step in and offer you a number of useful removal services to set you on your way. Our moving team deals with packing services for instance which includes acquiring packing material for you. We can help you find thick cardboard boxes, duct tape, bubble wrap, string, padding, furniture covers and temporary wardrobes which will help you ensure that all your personal possessions are moved in the most careful way and with protection for all fragile and fabric items. Our removals company across Bowes Park is able to offer you a helping hand when it comes to packing and unpacking, and we’ll clear away abandoned packing materials to save you a trip to the refuse site. We take great care to ensure that our customers’ belongings are moved in a safe fashion by padding all of the boxes containing fragile items, using bubble wrap and tissue paper to cushion items and packing up boxes in a sensible formation in the removal van. Our movers are well versed in the arts of manoeuvring heavy and oddly shaped items to avoid scraping any of them or having to break them up and we always handle with care. To book Moving Service call on 020 8746 4402 without a delay! Moving Service in N22 performed the perfect move! Finding a company competent in office removals is not simple, but can be done. Great crew and price as well!